One of the tricks to getting past the same arguments is to understand that if you’re repeating the same old arguments, you’re simply stuck in a loop of thinking and you’re not willing to consider another possibility for this situation. Sometimes the thing that you’re stuck arguing about is what we like to call a “deal breaker” and it’s something you’re not willing to bend or budge on and you may be leaving the relationship sooner rather than later. If it’s not a “deal breaker” and you’re still wanting to be in the relationship, then being open to another person’s ideas or wanting to truly understand another person’s reality can take you a long way towards healing the rift between the two of you. Being stuck in the same old arguments simply means that you’re stuck in the same old way of thinking about a not-so-happy future that hasn’t arrived yet. 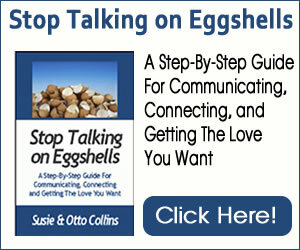 –>Need help speaking your truth with love? Your mind seeing something that looks like an unhappy future that you’re seeing as reality in this moment. … or your mind in its natural, calm state living in the present moment, knowing you’re ok.
It’s a mind open to seeing something new and free from fears of a no-good-very-bad future regarding this thing you’re arguing about over and over. 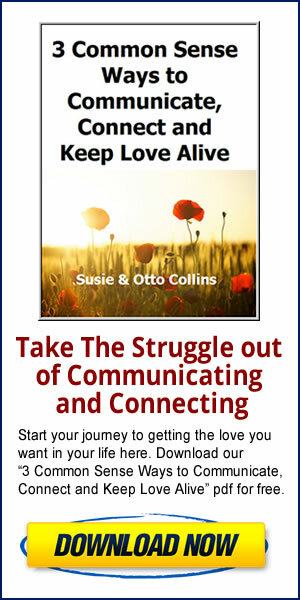 When you see that there’s nothing to defend yourself against–that your defense has just brought you pain–you can make the choice to move in the direction that will actually bring the two of you together to resolve the issue. And this starts with seeing possibilities instead of envisioning a fearful future that may not happen. Defending yourself hasn’t worked to get past the same arguments. Are you open to something else?